Bloomable (formerly SA Florist) delivers fresh flowers all around Calvinia and its surrounds. Bloomable (formerly SA Florist), having now over 20 years in the business of flowers, understands our customers’ desires. When we were offered a big investment by the popular SA’s Dragon’s Den, we came up with an online marketplace in which local florists are able to list every one of their unique artisan floral designs. Customers can then purchase flowers and gifts from any location that they want to send their gift to. 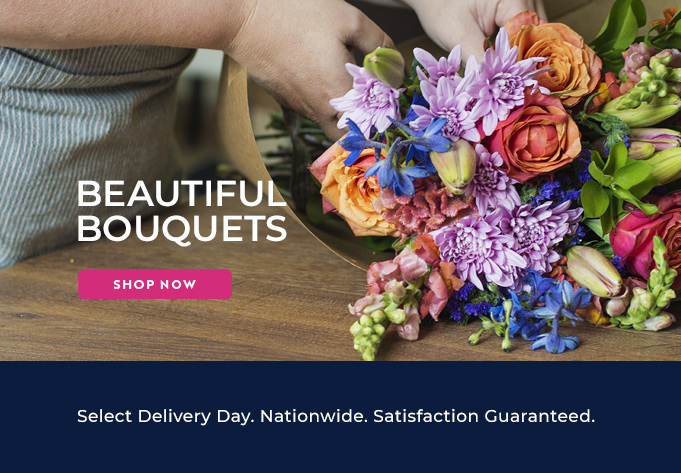 Because we have South Africa’s lowest delivery price and because we embody more than 250 local and independent flower specialists, Bloomable (formerly SA Florist) should be your first option for an online floral marketplace. Our great array of flowers includes roses, lilies, sunflowers, gerberas, chrysanthemums, freesias, proteas, carnations and even more in different bouquets, arrangements and bunches. Why not order our Ocean Song arrangement of roses, carnations and chrysanthemums to soothe an aching heart, or grab our sentimental Amanda arrangement of soft pastel colours for that special someone “just because”. For a romantic date, make sure to take advantage of our Beloved Red Roses arrangement to liven up the mood. We also give our customers the option to go a little bigger with many hampers and gift baskets. Make someone feel appreciated with a hamper that is stuffed with a bottle of Method Cap Classique, chocolates, teddy bears, fruit, nuts and even plush toys. Whatever occasion you find yourself in, a party, a birthday, a funeral or a baby shower, Bloomable (formerly SA Florist) has the ideal gift for you! We pride ourselves on giving fantastic customer service at great prices. Our new geo-located marketplace backs local and independent florists, instead of pushing them out of their businesses. We do fast and fresh flowers.